Tetouan is a small city in northern Morocco with a unique heritage of Andalusian and Arab cultures making this green and whitewashed city one of the jewels of Morocco. Situated in the middle of a belt of orchards that contain orange, pomegranate, almond, and cypress trees, Tetouan is picturesquely perched on the northern slope of a fertile valley down which flows the Martil river with Tetouan harbor at its mouth. 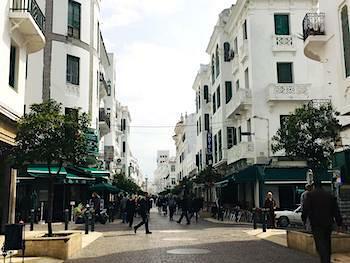 The streets in Tetouan are wide and straight and many of the houses belong to aristocratic families, descendants of those expelled from Al-Andalus by the Spanish Reconquista. These houses boast marble fountains, orange groves exquisitely carved and painted ceilings in Hispano-Moresque designs, similar to those in the Alhambra in Granada. This charming northern region of Morocco is a melting pot of culture. The Medina of Tétouan is surrounded by a historic wall of approximately 5 km in length and accessed by means of seven gates. The 7 Gates of Tetouan Bab Okla Tetouan has 7 famous gates, most notable of which is Bab Okla. The attractive gate is the main access point into the medina and is the most photographed. Bab Okla is a convenient entry into Royal Palace at Place Hassan II, the tannery, the Ethnographic Museum, and Ecole des arts et métier de Tetouan. The school is the only arts center in Morocco where students can get a diploma. Tetouan is not advertised for being an arts center however, it is possible to take an art tour of the local crafts industry. Bab Okla is also a gate for history buffs. Not far from the doorway is the entrance into the Souika, the oldest part of the Medina, where General Franco lived. Also nearby is the 12th century, Lalla Fariya Mosque, the oldest mosque in the city. Bab Jiaf Bab Jifaf, referred to as the Door of Remains, is a historical stop made on many Jewish Heritage Tours of Morocco. Jewish funeral processions have passed through this gateway to access to the Jewish cemetery. It also has the nickname of La Puerta de Alfonso, referencing the Spanish king who led the Moors out of Andalucia. Bab Mkabar Bab M’Kabar, another beautiful doorway into Tetouan’s medina is an area filled with the traditional Moroccan foods. Upon entering you will smell bread, spices, and see Moroccan cheeses and other typical items of the north. The gateway is a good starting position for visiting the sanctuary of Sidi Ali Baraka, a mosque built by Ahmed El Caid in the 18th century. Not far from Bab Mkabar is also the El Fouki Souk which connects with the Feddane square and Royal Palace. Feddane square is a relaxing plaza from where you can enjoy a panoramic view of the white washed medina. In the plaza, the Cafe Granda is an Andalusian restaurant loved for its family-friendly atmosphere. People watch with a coffee or enjoy some Spanish style food. There is a large space for children to run around and the restaurant is also frequented by locals watching the football games. Bab Mkabar Another leading gateway into the medina is Bab al Rouah. From this square, there is easy access to the Ghersa-el-Kebira Square, a hub for fabrics, clothes, and other hidden treasures; textile shops and jewelry boutiques can be discovered at Souk El Hout. Bring your fabrics to a Moroccan tailor and see them transformed into decorative gowns or traditional Moroccan kaftans. Bab Rmouz Bab Rmouz, a gateway located near the tower surrounding the medina is an off the beaten track gate. It has historical significance as a 16th-century icon and is connected to the original Andalusian Aromouz family as well as the Spanish Kingdom ruled in the time of by Fernando and Isabella. The Riad Dar Achaach, located along the Rue Torreta – near the green mountains of Tetouan – is an ideal place to stay if you want to learn more about Spanish influence in Tetouan. 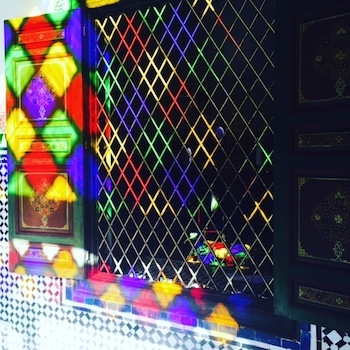 The riad is owned by a family with a long history of governing Tetouan as well as other cities throughout Morocco. Before heading for the mountains, however, be sure to stop in at the Tetouan Center of Modern Art. Close to Bab Rmouz, the museum has no entrance fees and displays a collection of paintings from the 1940s mixed with traditional realism. Next, to the museum, you can purchase artisan work at fair prices at the Ensemble Artisanal cooperative. Bab Saida is nicknamed by Spaniards as Puerta de San Fernand in honor of St. Fernando’s efforts to take Seville away from the Moors. 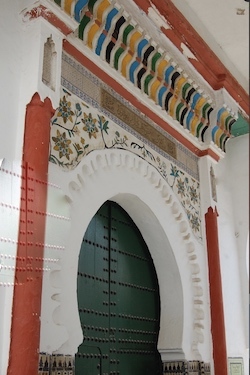 The door has further historical significance for being tied with the Saeid of Egypt, who lived and died in Tetouan and is buried near the door. Bab Saida, as well as Bab Jifaf, are two gates that can be used to exit the medina. Mohammed V Avenue Just outside of the 7 gates, is Mohammed V Avenue. Pedestrians strolling along Tetouan’s most Spanish Avenue sometimes forget they are in Morocco. The Andalusian whitewashed cobblestone streets architecturally mirror of you will find in the Spanish Granda or Cadiz. Leaving from the direction of the Royal Palace and heading towards the Church, you will pass by several hotels, restaurants, book shops, and cafes with Spanish names. These include the Pension Esparanza and Hotel Bilboa. The Restaurante El Reducto, Blanco Riad, and Restinga restaurant are ideal dining experiences to experience a taste of Spain in Morocco. For something small, you will see cafes advertising tapas. Enjoy patatas bravas, pulpo asado, or grab a bocadilla off the street. For dessert try a cake from the pasteleria across from the Spanish consulate. At night, catch a movie at Cinema Espanol or check for an exhibition at the Institute Cervantes, Tetouan’s cultural center. Morocco’s tradition of tea dates back to the 12th century BC. There are various theories on the origin of tea in the Maghreb. Some say the Berbers (Amazigh) imported tea from Asia, while others believe that Queen Anne Stuart of Great Britain introduced tea to the Moroccan Sultan as a ploy to release British prisoners. 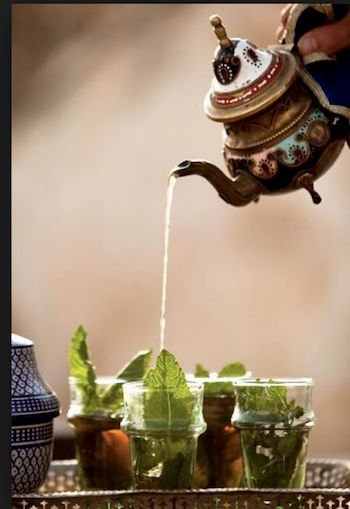 Moroccan mint tea, referred to as “Berber Whiskey” or Maghrebi Mint Tea is one of the pillars of Moroccan culture. In Morocco tea is sipped all hours of the day. When Moroccans welcome guests to their homes they sip tea, when they celebrate a birth or wedding ceremony or death, they sip tea and when they share meals together they sip tea. Tea is sipped slowly 20 or even 30 times a day in Morocco! When a glass of tea is offered, it is a cultural taboo to refuse. Declining an offer of Moroccan tea is considered impolite given many consider it part of a bonding experience. While there are many stories of tea told throughout Morocco, one shared consensus is, the ritual of Moroccan tea is an art. 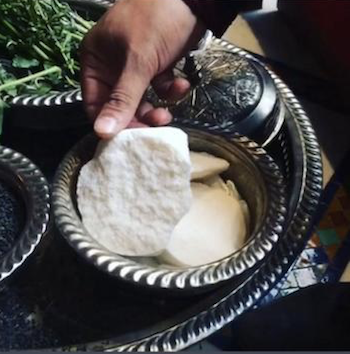 “Tea in Morocco, is not just about boiling the water and adding mint, it is ceremonial art, a ritual for us, similar to the Chinese and Japanese” says Saoud, teacher and host of La Maison Arabe’s tea ceremony. Souad leads a tea ceremony that is part of La Maison Arabe’s daily cooking classes offered. Tucked away into a well-manicured alley with palm trees, out of sight from the bustling Marrakech medina, sits the exquisitely designed boutique hotel. La Maison Arabe. All La Maison Arabe cooking classes are led by a Dada Chef and a host offers first hand insights about Moroccan Tea traditions. Each class includes a traditional tea ceremony. Moroccan tea has medicinal and beauty benefits. Herbal teas are made from Morocco’s diverse kingdom of organic plants. There are more than 4,200 species which have been identified as endemic and 400 are classified as products for medicinal or aromatic use. Moroccan tea traditions are passed from generation to generation. The ritual of Moroccan tea can be observed in a private home, by participating in a cooking class or in the souks. If you ask a Moroccan about memories of their childhood, they will often share an image of their mother in the kitchen, blending together an herbal mint tea to ward off a cold or improve a family member’s digestion. There are 3 principal ingredients in nearly every cup of Moroccan tea. They are Gun Powder, Beetroot Sugar and Spearmint. #1: Gunpower:Considering how frequently Moroccan mint tea is consumed, many people are surprised to learn that tea is not grown in Morocco. Tea used by Moroccans is imported from China. The base of Moroccan mint tea is gunpowder, which closely resembles actual gunpowder and looks similar to rolled up pellets. While gunpowder is the equivalent to green tea, it tastes significantly stronger than the type of green tea most people are familiar with. When blended with Moroccan herbs or fresh mint, gunpowder’s bold and smoky taste lends a unique flavor to the tea itself. #2: Beetroot:Another important ingredient in Moroccan tea is sugar, however, not just any sugar. Moroccan’s use a few wedges of healthy Beetroot sugar to enhance the flavor of their tea. Beetroot sugar is grown in Morocco, comes from the beetroot vegetable which is packed with minerals and vitamins. Sipping tea in Morocco without Beetroot or Cane sugar is rare. However, as the result of foreign influence and diabetes more Moroccans are drinking tea today with less or no additional sugar. Moroccan tea without sugar tends to be more pungent and stronger in taste. 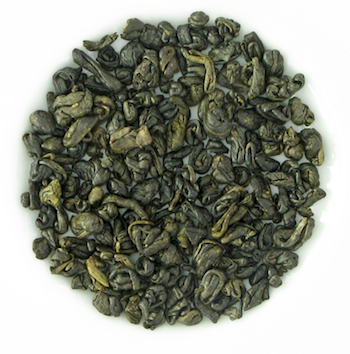 The combination of gunpowder and mint without sugar cause the tea to take on a bitter flavor. #3: Spearmint:There are several different kinds of mint grown in Morocco, however, the consistent choice is spearmint. 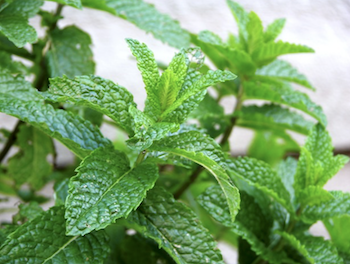 Spearmint has a clear, pungent, and mild aroma, making it the traditional choice used in Moroccan mint tea culture. Medicinal Benefits of Moroccan Tea:There are many types teas that are consumed in Morocco. Traditional Moroccan Mint Tea typically sipped with no other ingredients. However, those who prefer to use tea for health benefits in Morocco often infuse their tea with aromatic plants and herbs. Some of the aromatic plants and herbs added to Moroccan mint tea are dried flowers, such as rose petals along with lemon peel, orange peel and orange blossom water. Peppermint – slightly different properties than spearmint, the most relied on mint; it aids digestion. Bergamot – relaxing and aromatic. Lemon Verbena – relaxing and fresh sensation. Moroccan mint tea contributes to good health. People who live in deserts or oasis’ like Morocco, drink hot tea year-round including summertime! Consuming hot beverages cools the body down and the combination of also Moroccan tea has many powerful ingredients like antioxidants, properties to boost endurance, aid in digestion, increase mental performance, inhibit the growth of bacteria and fungus, and even clear up skin disorders. The antioxidants in Moroccan tea help boost endurance, protect against cardiovascular disease and certain cancers. • Place two teaspoons of gunpowder green tea into a traditional Moroccan tea pot. •Pour boiling water and sugar and let it simmer for few minutes. • Then pour out the water and reserve the liquid in a glass. •Add a little boiling water to swish in the teapot again. This second rinse will take away the bitterness and the color of the tea will get darker than before. • Discard the second glass, only the first extraction of tea will be used. • To mix all the ingredients together, just pour the tea into a glass and return it to the tea pot. It is important to never stir the mixture with a spoon or the herbs may burn. Repeat this process two or three times for best results. • Serving Moroccan Tea.When serving Moroccan tea, it is important to use a Moroccan tea port and hold the handle from high above as this will help oxygenate the tea and keep the tea foam on the top of the glass. The pouring of the tea from a teapot with a long-curved spout is done from a height of at least twelve inches, causing foam to form on the surface of the tea. Morocco is the ideal destination for a summer vacation if you are searching for a one-of-a-kind travel experience for the entire family. If you are the household trip planner, then you have the option of embarking on a Morocco Family Tour tailor-made to include exploration of various cities and region of the country along with family-friendly activities or to attempt a self-guided option by 4×4 on your own. Morocco’s location at the northernmost point of Africa makes it an easy introduction into the African continent and its diverse climate allows travelers options to experience a range of activities year-round. It is possible to ski and head to the beach all in the same day. Our Summertime Travel Guide introduces 9 of the Best Vacation Ideas for Families. Morocco has sixteen regions and is divided into sixty provinces. Each destination offers to inspire family-friendly touring activities ranging from food and market tours to cooking classes, handicraft design, hiking, trekking, camel trekking, quad riding, sand skiing, and a hot air balloon ride over the High Atlas. Morocco’s sandy beaches, blue jeweled coast, desert dunes, mountain ranges, and historic cities provide families traveling to Morocco an enriching experience. The Sahara Desert offers families an unforgettable outdoor adventure. Families who would like to visit the Sahara Desert are advised to start their journey from Marrakech and allow for a minimum of a 4-day timeframe. The ideal family road trip to the Sahara starting and ending in the city of Marrakech will allow for travel down south via the Tizi n’Tichkapassing the geologic region of the Ounila Valley. The route to Morocco’s desert region is one of the most arresting with its panoramic views of the High Atlas, Berber villages and fertile valleys. A cinematographer’s dream, the earth-toned, rust-colored pise villages dot the landscape and create shadowlike images in the High Atlas. Families interested in sightseeing en route to the Sahara desert should not miss out on a visit to Ait Benhaddou, a UNESCO World Heritage Site. Ait Benhaddou is coveted by film directors around the world. 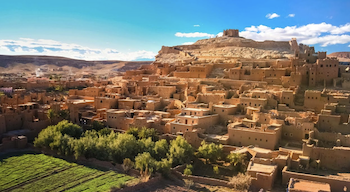 Exploring the Ksar of Ait Benhaddou, the Pacha Glaoui’s Kasbah of Telouet, and the Skoura palmeraie is part of a once in a lifetime family adventure to Morocco’s south. Also recommended for kids and film buffs are the CLA Studio and Cinema museum where sets from various movies such as Kundun and the Last Temptation of Christ are kept. During your Sahara Desert Family Adventure, you will also pass through the Draa Valley, the Todra Gorge and make a local stop to have lunch with a Berber family. For family’s who are interested in intensive hiking and magnificent scenery extending your trip to 5 days and carving out time to visit the Dades Valley and Gorge is highly recommended. A Just before you reach the Sahara there’s also the opportunity to visit the town of Rissani and learn how their local Berber pizza, called Madfouna is made. A final pitstop for tea at Khemlia’s Berber village where you can experience Gnaoua trance music in the heart of Merzouga is a must do activity perfect for the entire family. A direct drive to the Sahara Desert from Marrakech exceeds 9 hours, therefore we recommend a family trip that is not less than 4 Days/ 3 Nights. A Sahara Desert Family Adventure can be broken up as to allow for overnight stays in Ouarzazate, the Skoura palmeraie and the long-awaited 1001 Arabian nights desert experience in a luxury camp. If departing from Marrakech, you can drive along the desert route connecting the Draa Valley (Tansikht) and Rissani and enter the region of N’kob and Aït Ouzzine where you discover a local Berber village and enjoy time with a local family. The peaceful village of Ait Ouzzine is inhabited by over 300 families living in historic kasbahs. Each family maintains its own wheat, alfalfa and henna fields, water wells, livestock, and gardens. During your visit of Ait Ouzzine Berber Village, you will also have the option to partake in cooking lessons on how to make a Berber tajine and learn to bake traditional mountain bread. Exploration of Ait Ouzzine’s green fields and to learn how the Berbers use their botanical gardens, livestock, and henna plants are just a hint of the unique experiences that await you. Interested in experiencing a traditional Moroccan beauty treatment? Then have your hands and feet painted with henna by a local village artist; they will adorn your hair with saffron. Take your beauty experience a step further and participate in being doused with Berber perfume: musk, amber, and the village’s own spices are the classic ingredients. Your afternoon will end with mint tea, almonds, then return to your hotel Ouarzazate in time to catch the African yellow sunset. Marrakech is well positioned for day trips and that makes it a favorite city to base yourself and explore Morocco, however, summertime is hot. 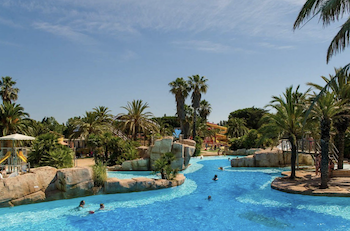 Escape the Red City’s heat in Oasiria, an Aquatic Park located in the outskirts of Marrakech. Oasiria has numerous slides at varying speeds and lengths, perfect for both children and adults. There is also an on-site fitness club and Africa’s first aqua rock climbing wall where your fall is designed to drop you into a giant swimming pool. Post workout, stroll through Oaseria’s 10-hectare garden and explore olive tree orchards and 500 species of botanical and medicinal plants. For lunch or dinner choose between one of the four open terrace restaurants. 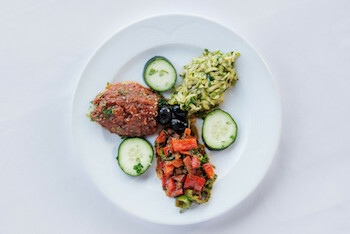 The menus offer family friend options ranging from burgers to pizza along with salads and a local daily tajine. A recommended 2-3 day excursion from Marrakech for families in search of coastal bliss and bird watching is the Oualidia lagoon. Oualidia is located between the beach town of El Jadida and fisherman’s port of Safi. The region of Oualidia is also an important ecological location and an excellent choice for serious bird watchers or nature lovers. Oualidia is loved by in-the-know expats and Moroccans for its natural beaches, marshes, and wetlands. Bird lovers can look forward to spotting curlews, flamingos, sandpipers, plovers, Little Grebe, Oystercatcher, the Black-winged Stilt, the Yellow-legged Seagull, Grey Plovern, the Greenshank Curle and other migrating birds. The area has a temperate year-round climate. The best time for bird watching is in spring or summer. An added bonus of visiting Oualidia in the summertime is that it is an off the beaten track location. Summers are not as crowded compared to the other beach towns like Essaouira and El Jadida. Oualdida offers a low key, relaxing environment and is a great place to unwind with a book, hike along cliff paths and deserted grottoes, or kayak around the lagoon. Stay for an afternoon or spend the night at the on-site at the 5-star boutique hotel La Sultana Oualidia or Hippocampe Hotel. Regardless of if you are in town for a day or overnight, don’t miss out on dining at Ostrea II, a seafood restaurant that offers the region’s specialty, oysters, crab and lobster along with other local catch of the day. Morocco is a country with varied terrain. A trek across the Dades Valley & Gorge is recommended for active families who are fit and would like to experience rocky terrain along with spectacular geologic views. A trek throughout the region of the Dades Valley will take you through a region that boasts limestone cliffs with uniquely shaped erosions and superb scenery. Depending on the season you will trek across fertile fields, riverbanks and see several fortified ksours. At the bottom of Gorge of Boumalne Dadès there are ruined hilltop Kasbahs and valley floor gardens. For families who want to explore the Dades Valley region by car, the start is in Ouarzazate. This route will take families through Skoura, a 12th-century fertile oasis designed by lmohad Sultan Yacoub el-Mansour. It is lined with immense palm groves and offers great views of the Atlas Mountains and deserted landscapes, and you will see Todra Gorge, a gigantic rock famous for the ability to change colors without sunlight. By car, you would continue passing through the Valley of Roses, also known for its annual rose festival. The first festival started when the French brought over the Damask rose. Nowadays there are Capp et Florale distillation factories laid out in the small Kasbah town, they manufacture the entire nations products of Eau de rose. After shopping, the scenic road awaits you. Other highlights of the car trip into the Dades Gorge Valley include seeing the Dades River and Imini River; they flow from the High Atlas Mountains southeastward to Tagounit and from Tagounit mostly westwards to the Atlantic Ocean. There are also guest houses en route where you can eat and enjoy views of the Dades Gorge. The Berber Village of Ait Ashok is the perfect day trip from Marrakech for families looking to hike and picnic. Ait Ashok is one of the top hiking and picnic destination for active families. The Ouirka Valley can get crowded with tourists during peak season, but the charming Berber village Ait Ashok, is a secret gem where a peaceful hike can be enjoyed year round. This secret paradise has unforgettable views of the Atlas Mountains and small farming villages. 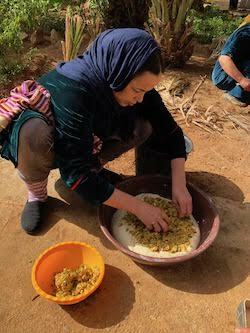 Trekkers can have lunch with a local Berber family in an auberge with views. Depending on the time of year, you will see harvests of walnuts, almonds, apples, and other fruits. Morocco’s souk culture will expand your definition of what it means to shop. 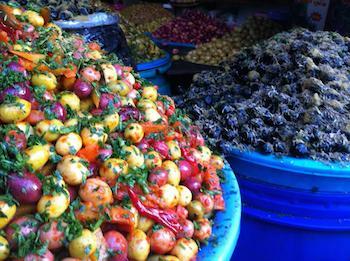 All of Morocco’s imperial cities and even villages have souks specializing in something. Souks are sectioned off into quarters and you can buy everything from sheepskin, leather goods, groceries at the outdoor food market, exotic spices, rugs, textiles to make your own garments, essential oils at pharmacies and everything in between; the most famous souk is in Fes, the fourth largest of Morocco’s cities. Visitors from around the world come to explore the labyrinth-like medina of Fes and witness the famous Dyer’s market, Tannery, and the Weaver’s Cooperative. All three areas have preserved the traditional methods of making their crafts. At the Dyer’s market, families can see the century-old vats that have been used to soak animal skins and produce luxury goods. The Tannery continues to produce some of the best leather work in Morocco, and the Weavers specialize in making the finest silk fabrics for Jellabas. Local purchases for the entire family can be made along with special orders if you are interested in leather jackets or other goods. The art of Moroccan Craftmaking in Fes is available to families interested in participating in a workshop. Local craft making workshops offer 4-hour hands-on sessions whereby children can learn how to emboss leather, bookbinding, make a brass tray or an African drum. An example of a family friendly workshop highly recommended is to learn how to make a leather bound journal. This type of workshop will cover the techniques of crafting your very own Leather journal – complete with long stitches and a variety of Manila papers! The workshop will guide you through the step-by-step technique to craft your own handmade leather journal with long stitches. Materials, such as leather, thread, paper, and others, will be provided on the day of the workshop. This workshop also provides techniques on chiseling and stamping on leather to create unique covers for sketches or notebooks. 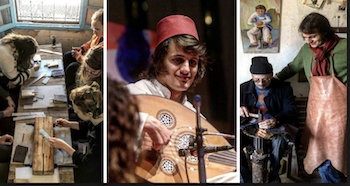 For the past twenty-four years, the Fes Festival of Sacred Music has contributed to maintaining a dialogue with the sacred through its most famous forum and highlighting of arts and music. The 10-day festival is held in mid-summer annually and aims to bring together scholars, artists, musicians, families, Moroccans, and visitors from abroad. With roots in spiritual values, the festival serves as an anchoring ground to teach people to learn to appreciate different cultures and communicate better with one another. In addition to bringing attention to various cultures, the Fes Festival has been a wonderful tool in raising awareness for Moroccan culture. During the day, visitors can explore Fes’ medina, souk, and mosques or take part in seminars or round table discussions covering the festival theme. In the afternoon, evening, and late night, there are concerts given by performers arriving from every angle of the globe. These musicians help celebrate the musical spectrum of European classical, Sufi ritual songs, trance music, Arab-Andalusian rhythms, a Bulgarian orthodox choir, Hindustani chants, Celtic sacred music, Christian Gospel, Swedish chamber choir, Pakistani Qawwali incantations, Egyptian madhi odes, flamenco-style Christian saeta, ancient Indian gwalior chants and Turkish whirling dervishes. Ever since its inception, this event has witnessed growing success. In 2001, the UNO declared the Festival as one of the most outstanding events that are contributing to the dialogue of civilizations. 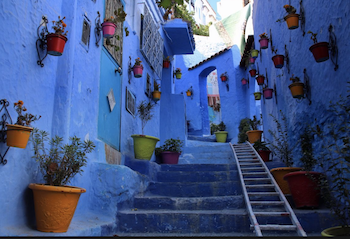 Exploring Morocco on a family adventure would not be complete without visiting the Storybook Blue City Chefchaouen. Set in the northernmost point of Morocco, Chefchaouen is in-between Tetouan – Morocco’s Little Jerusalem – and the Rif Mountains. Chefchaouen is famous for its blue-painted houses and local goat cheese. Historically, the town’s former population was Jewish. After the Spanish Reconquista of medieval times, many Jews sought refuge in this mountain city. Chefchaouen was also used as a fortress by Moulay Ali Ben Moussa Ben Rached El Alami to fight off the invading Portuguese who were entering Morocco from the North in 1920; the Spanish seized Chefchaouen to form part of Spanish Morocco. Families interested in Spanish history will enjoy learning about Andalucia’s connection with this part of Morocco. Beyond Chefchaouen’s charming architecture, the town is ideal for a low key hike, to kick back and read a book, and shop for native handicrafts that are unique to this Northern Moroccan town. Chefchaouen offers a nice array of locally woven items such as wool blankets made with the regional colors of red, white and blue. You can also find local artisans who sell hand-painted furniture, local pottery made with terracotta and antique jewelry. Chefvhaouen’s name means “look at the horns”, referring to the shapes of the mountain tops that tower over the town and look like the two horns (chaoua) of a goat. Not surprisingly goats are in abundance in this area and the cheese native to Chefchaouen is said to be some of the tastiest in all of Morocco. Moroccan Riads are the ideal place to stay when visiting Morocco. Tucked away from bustling city life, Riads serve as the perfect escape to read a book, enjoy a typical Moroccan meal, a sunset cocktail or simply decompress and take in the sights and sounds of an exotic setting. The majority of Boutique Riads in Morocco are centuries old and have been restored by talented Moroccan artisans. Each property differs with some having Andalusian, Moorish or Spanish architecture. The traditional décor, made up of intricate hand-made zellij tilework, tadelakt walled interiors and draped terraces offer an Arabian Nights sensibility. With more then 1,000 traditional riad homes in Marrakech’s ancient medina, we’ve narrowed it down to the “Best 8 Marrakech Riads Marrakech Riads” that are well appointed with beautiful rooftop terraces, excellent cuisine and priced just right for almost any traveler who wants to splurge on a little bit of luxury. A luxury riad located in the Riad Larouss region of the medina. Owned by two designers, one Dutch and the other Spanish, this boutique hotel is a standout place to stay in the Marrakech. medina. Modern design meets Moroccan flair: a chic riad with lamplit courtyards, roof terrace and cool, understated décor. Ryad Dyor is converted from a pair of riads, whose 2 shady courts lead into each other, one with an ornately tiled fountain, the other with a rose-petalled splash pool. Copper lanterns, Balinese mirrors, egg-smooth tadelakt bathtubs surround guests. On the roof, under a loggia hung with gauzy textiles, the manager knows just when to offer cocktails or mint tea to guests lazing in the afternoon sunshine. The laid-back atmosphere – everyone is made to feel at home, nothing is too much trouble – will delight couples seeking both style and substance on a long weekend break or some post-trek pampering. 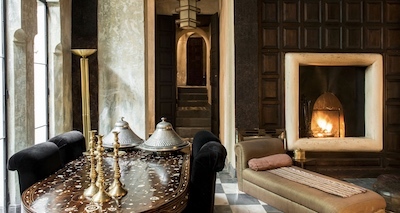 Riad de Tarabel is a luxurious boutique hotel in an old colonial mansion in the heart of the old medina of Marrakech. With ten rooms, including three suites this boutique property is a mixture of Colonial and French design. Riad de Tarabel was built in the 19thCentury and renovated in 2006. Each room is individually designed with true elegance that combines family heirlooms with contemporary pieces creating a French, colonial-feel. All of their Junior Suites have clawfoot baths and one has a fireplace. Some have open bath facilities. Wrapped around a central courtyard brimming with banana trees, Riad 72 is a chic, well-appointed riad in the Marrakech medina. The elegantly decorated salon has an intricately carved ceiling, and gently lit by beautiful copper lanterns. The courtyard is flanked with large banana trees. Featuring classic Moroccan furnishings with contemporary flair, this boutique property also has a cuisine menu with Ottlolenghi inspired recipes. 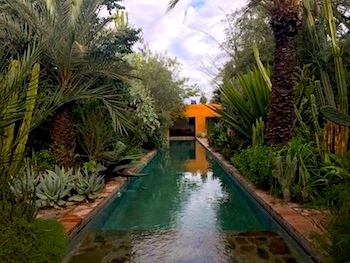 Riad Idra is an elegant, contemporary, Moroccan, riad located in the Dar El Bacha region of the Marrakech medina. Riad Idra is a luxurious cocoon shielded from the commotion of the ochre city and a well-hidden jewel. A house full of light the intimate courtyard offers an outlet to the world of sight and sound for a magical stay. An elegant boutique riad in the bohemian heart of the Marrakech medina Riad Jaaneman is a refined oasis of urbane flamboyance and sophistication. Just a stone’s throw away from the timeless bustle of the souks and the vibrant rhythms of the city, Jaaneman defined is classical style meets eclectic harmony. Originating from an Indian word that literally means ‘Soul of Me’, “Jaaneman” translates into ‘My love’ or ‘darling’. With 5 originally decorated suites, each boasts cutting-edge design reminiscent of art deco and a feeling of the Orient. Luxurious bed linens and artisanal soaps are just a few of the luxury amenities travelers can anticipate. A haven of calm in the Marrakech, medina, Dar Darma has been awarded a place on the Conde Naste gold list of Hotel in 2017. This traditional riad of 6 Suites, Dar Darma offers privacy, traditional Moroccan hospitality in a relaxed, atmosphere. The terraces have sweeping views that stretch from the Medina rooftops and the Koutoubia Mosque to the Atlas Mountains. The shady lounges, the swimming pool and a little basin offer the perfect place to cool off in the hot summer months Darma’s Moroccan lounge, the hall of arches and the fireplace lounge looks out onto a shady patio and are ideal places to relax, read, listen to music and enjoy dishes made by their traditional Moroccan chef. Crafted with care by Italian art director and owner, Umberto Branchini, Riad Joya provides a high-octane dose of Milanese chic amid the medina’s dusty lanes. Sumptuous suites, as well as a lovely plunge pool, and a cracking rooftop bar. Riad Joya is an elegant boutique hotel of timeless beauty and seductive atmosphere well appointed in the Marrakech medina. The overall atmosphere is of an elegant private house where understated luxury fuses with eclectic style and bespoke service and attention. A charming boutique, riad, Dar Mo’da is located in the Mouassine, historic quarter of the Marrakech medina, just minutes from Djemma El Fna square. This traditional Moroccan home has been restored impeccably. Dar Mo’Da’s wall to wall, white, clean lines and cool atmosphere coupled with traditional Moroccan, Syrian and Italian designer pieces, make it a one-of-a-kind place to stay. Guests can relax in the welcoming courtyard featuring a dipping pool or in the adjacent lounges and dining room. Dar Mo’da has four exclusive suites whose décor combine the magic of the orient and the comforts of the west. The roof terrace offers breathtaking views of the city and nearby Koutoubia mosque with the backdrop of the Atlas mountains and beyond. Discover the Best Moroccan Riads & Boutique Hotels. Follow us on Instagram. With its grand boulevards and famed historic Art Deco Architecture, Casablanca is a popular city with a cornacopia of things to see and do. Whether you are a Morocco traveler, an expat living abroad or a local looking for discovery and adventure, Casablanca’s breath of musuems, restaurants, hotels, nightclubs, boutiques, pop-up shops and art galleries gurantee fun and fullfillment for people of all ages. Casablanca is the largest spraweling city in the Maghreb and in Africa with a majestic palm lined corniche and a Coastal Port that rivals others in Africa. 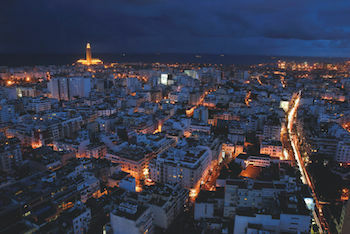 Casablanca is also one of the most liberal and progressive cities in Morocco. Travelers seeking a Casablanca One-Day Tour for site seeing can start out with our recommended Five Places to go in Casablanca. The Museum of Moroccan Judaism of Casablanca is a museum of history and ethnography, created by the Jewish Community of Casablanca in 1997 with the support of the Foundation of Jewish-Moroccan Cultural Heritage. The Jewish Museum in Casablanca is tucked into a residential neighborhood and holds a treasure trove with it being the Arab region’s only Jewish Museum. It uses world-class standards of conservation for its national and international collections. 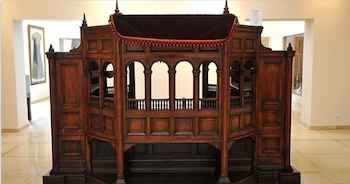 The Museum of Moroccan Judaism presents religious, ethnographic and artistic objects that demonstrate the history, religion, traditions and daily life of Jews in the context of Moroccan civilization. Founded by Berber fisherman in the 10th Century Anfa is the former name of Casablanca which underwent a change when the Portugese destroyed and rebuilt it, later calling the city Casa Branca. Today Anfa and the Cornice is a neighborood located on the Atlantic Ocean, West of the Hassan II Mosque. The palm lined corniche is perfect for travelers who want to have a coffee at a local cafe, people watch or stroll along the beachfront. In summer the Corniche is packed with local Moroccan family’s who are there for a fresh water swim or want to picnic with friends. The Habous Quarter is often referred to as the “new medina and was built in 1930’s by the French. For travelers looking to shop for handicrafts made in Morocco or to experience a local Olive Souk this is the place to do it on a one-day tour in Casablanca. Built in 1934, Villa Des Arts in Casablanca is part of the ONA Foundation created to promote the contemporary arts. It’s also one of the cities leading Art Deco historic buildings. Located near Parc De La Ligue Arabe this non profit museum features a wide array of contemporary Moroccan Artists. The Kenzi Tower Hotel is home to one of Casablanca’s best views at sunset. Their Sky 28 Bar boasts panoramic views of the Hassan II Mosque, the Corniche, Ana and the city center. Coctaials, Wine, Beer and horderves are available along with a gastronomic, French menu for those who are interested in dinner with a magnficent view of Casa at night. Must See, Top Rated Places and Palace in Marrakech offers the perfect Insiders Guide to travelers who are visiting Morocco on a Private Tour. Don’t miss out on some of Marrakech’s Best places that range for Palaces to ancient Mosques. Known for it’s magnificent palaces and old world decor designed by the Moors with Andalusian flavor, Marrakech is a must on every travelers bucketlist. Marrakech is home to several magnificent, must see Palaces located in the historic district, also referred to as the medina. When visiting Marrakech on a Private Tour to Morocco these Top Rated Palaces are historically significant and offer a window into the former lives of royalty who built and managed these century old lavish homes. The palaces of Marrakech are essentially riads (courtyard homes) based upon the concept of Roman villas with lush interior courtyards, ornate architecture, hand crafted cedar wood and painted ceilings and succulent gardens. Marrakech’s palaces are typically surrounded by walls given this was a tradition of protection and to prevent those passing by from seeing inside. Many of the Marrakech palaces and riads have been been transformed into boutique hotels and guest houses. Several of the palaces such as the Bahia Palace, El Badi Palace, Dar Si Said Palace, are historic landmarks, that have remained open to the public as to visit on a Guided tour of Marrakech. These palaces are also used by art organizations such as the Marrakech Bienalle and the Marrakech International Film Festival for both public and private events. The Bahia Palace was built at the end of 19th century by Si Moussa, grand vizier to the sultan Sidi Mohammed ben Abderahmane 1859 -1873, as his personal residence. The work on the palace was continued by his son Ba Ahmed who was grand vizier to Sultan Moulay Hassan and the powerful regent to the young sultan, Abdel Aziz. They brought craftsmen from Fes who created carved and painted and guided wooden ceilings and reception rooms and numerous courtyards. The haphazard warren of rooms is partly due the growing number of official wives and concubines with their children. The most imposing feature is the vast courtyard used for official occasions and decorated with a central basin. It leads onto to gardens and palm trees. When Ba Ahmed died all his possessions were seized by the sultan and the palace is completely empty of fixtures and fittings. The Bahia has an imposing entrance through the main gate, which is just up from the Jewish Mellah. It was the headquarters of the French military during the French Protectorate and the American novelist Edith Wharton stayed there as a guest of Marshal Lyautey in 1917. The Royal family still uses the Bahia palace for official occasions. Visit the Ben Youssef Madrasa, an Islamic college in Marrakech, Morocco, named after the Almoravid sultan Ali ibn Yusuf (reigned 1106–1142), who expanded the city and its influence considerably. It is the largest Medrasa in all of Morocco.The college was founded during the period of the Marinid (14th century) by the Marinid sultan Abu al-Hassan and allied to the neighbouring Ben Youssef Mosque. The building of the madrasa was re-constructed by the Saadian Sultan Abdallah al-Ghalib (1557–1574). In 1565 the works ordered by Abdallah al-Ghalib were finished, as confirmed by the inscription in the prayer room. Closed down in 1960, the building was refurbished and reopened to the public as a historical site in 1982. The El Badi Palace was built in the 16th century by the Saadian Sultan Ahmad al-Mansour following his victory over the Portuguese at the battle of the three Kings in 1578. This epoch making event changed the course of history as King Sebastian of Portugal and his allies were defeated and Portugal never again held sway in Morocco apart from a few costal outlets like El Jadida, Essaouira and Azemmour. The Sultanate of Morocco was at the pinnacle of its power. Portuguese ransoms and captured booty as well as Sub Saharan African gold and the sugar trade paid for the construction of the palace. Sultan Ahmad al-Mansour died shortly after the El Badi’s completion in 1603. He had asked his court jester what he thought of his palace and the jester replied that it would make a fine ruin. By 1690 this came to pass, as Sultan Moulay Ismail stripped the El Badi completely to adorn his palace in Meknes. What you see today is a mere shell but it does give a sense of the massive proportions involved along with sunken gardens and dungeons. As so often in Moroccan history buildings were destroyed by conquerors or successors building their own stately palaces. There are fine views from the towers of the Medina and the Atlas mountains. Storks nest on the ramparts as they do along the high walls of the Royal Palace adjoining it. The Marrakech Folklore Festival Son et Lumiere with Berber dances and music takes place in July in the grounds of the El Badi and its huge ramparts and walls provide an imposing historical venue. The El Badi Palace has a museum and exhibits of which includes and a 12th-century minbar that once stood inside the Marrakech Koutoubia Mosque. 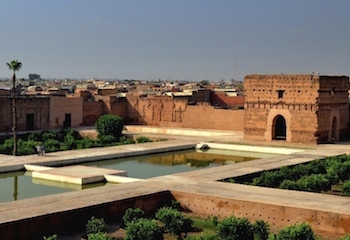 The Royal Palace, whose high walls and gates follow on from the El Badi, is also known as Dar el-Makhzen, is part of the imperial grandeur of Marrakech. It was built on the site of the Almohad Kasbah, by the Almohads in the 12th century and underwent changes by the Saadians in the 16th century and the Alaouites in the 17th century. It was one of the palaces owned by the Moroccan king, and the palace employed the most accomplished craftsmen in the city. The rooms are large, with unusually high ceilings for Marrakech, with zellij and cedar painted ceilings. At the entrance is an ancient pulley fastened to the ceiling. Dar Si Said, also known as the Museum of Moroccan Arts, is located to the north of the Bahia Palace, right from the Rue Riad Ziroun el-Jedid. It was formerly the house of the brother of Bou-Ahmed, Sisi Said. The collection of the museum is considered to be one of the finest in Morocco, with jewelry from the High Atlas, the Anti Atlas and the extreme south; carpets from the Haouz and the High Atlas; oil lamps from Taroudant; blue pottery from Safi and green pottery from Tamgroute and leatherwork from Marrakesh. There is also a fine small garden laid out in classic Moroccan style but the glory of Dar Said is the carved and painted ceilings on the top floor which are the finest example of painted ceilings in Marrakech. Some of the wooden screens and frames were recovered from the El Badi palace. Today in the Middle East, Moroccan craftsmen are sought after as creators of Moroccan carved and painted ceilings in palaces and corporate headquarters. Their craftsmanship was displayed in the New York Metropolitan Museum exhibition “The Moroccan Court” in New York in 2011 and in the following year at the Shangri-La residence in Honolulu as part of a promotion for Moroccan business and cultural exchange between Morocco and Honolulu. The Dar Menebhi Palace close to the Medersa Ben Youssef was built at the end of the 19th century by Mehdi Menebhi. The palace was carefully restored by the Omar Benjelloun Foundation and converted into a museum in 1997. 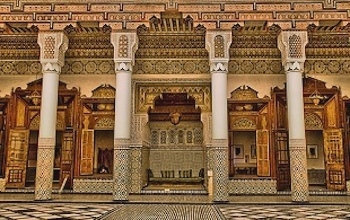 The house itself represents an example of classical Andalusian architecture, with fountains in the central courtyard, traditional seating areas, a hammam and intricate zellij tile work and carvings. The museum’s large atrium (originally a courtyard, now covered in glass and fabric) contains a very large centrally hung chandelier consisting of metal plates decorated with fine geometric and epigraphic cuttings. Several features of the original courtyard, including the floor-set basins and mosaics have been retained. The museum holds exhibits of both modern and traditional Moroccan art together with fine examples of pottery and ceramics from Fes and Moroccan Jewish, Berber and Arab cultures. The Dar El Bacha on the Rue Bab Doukala was the palace of the Pacha of Marrakech, Thami El Glaoui, who was Pacha from 1912-1956. He entertained the cream of western high society with parties at Dar El Bacha with Winston Churchill, Colette, Maurice Ravel, Charlie Chaplin and many others. As he collaborated with the French protectorate and contrived to remove Sultan Mohamed V into exile in Madagascar, he was and remains, unpopular to this day. Although Sultan and later King Mohamed V forgave him on his return from exile, all Thami’s properties were confiscated after his death in 1956. The Dar El Bacha is now a Royal Palace and a trade union federation occupies part of its imposing edifice. It was rumored that a museum was to open there but nothing has transpired. Many would like to visit this palace but it remains closed. Travel Exploration Morocco donates 5% of our proceeds to Berber Villages through our charity organization called Project Feed. We are an ASTA approved travel agency and has won several accolades for our travel expertise. For travelers interested in discovering Morocco’s Imperial Cities and the Great Desert region, Travel Exploration offers Morocco Expert Tours that custom designed with the perfect amount of luxury and authenticity. Our Morocco Expert Tours are offered on a private basis and tailored for couples, families and small groups. Travelers will uncover the cultural diversity of contemporary Morocco on a Travel Exploration Morocco Luxury Tour and see the country through the eyes of locals. Our tours offer nothing less then the extraordinary including visits to breathtaking Architectural sites, Berber Villages, Jewish Heritage momuments, Majestic palaces, and Glorious houses of worship and opulent gardens. As a traveler you will dine on exceptional cuisine and view traditional Moroccan crafts being made by local artisans and shop in enticing marketplaces. When you travel with us you will experience the authentic. At Travel Exploration Morocco our bespoke, luxury private tours itineraries are detailed. They are extensive in their coverage culled from our on the ground, expert team of licensed guides. Passionately designed and chosen by the directors each itineary includes a well balanced experience of Morocco whereby our travelers never spend more then 4-5 hours in a vehicle each day. Our staff is Moroccan, American and European which lays the ground for your insider travel experience. Our Multilingual Speaking Drivers fluent in English, Arabic, French and Berber are from Morocco’s Great South or the Marrakech region. Our drivers are deeply knowledgeable about the history and culture of Morocco. They will open your eyes and share information not found in travel books. You will have the opportunity to exchange ideas and ask them questions about aspects of Moroccan culture that is hard to access as an outsider on your own. As Morocco Tour experts we offer stays at luxury boutique riads and hotels that are well apointed in the historic districts of each city. There’s no better place to take it all in then to stay at boutique hotels and luxurious, riads in Morocco. 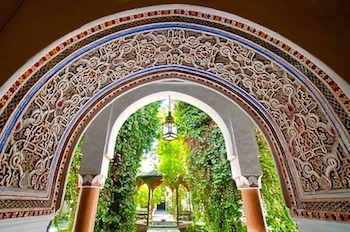 Riads also known for their elaborate courtyard gardens that are intimate spaces filled with lush, leafy green flora and fauna often centered around stone or marble fountain filled with rose petals. Most of Moroccan riads have courtyards or gardens where roses and oranges trees grow. A Moroccan riad experience should be part of every Morocco travelers’ vacation plan. Riads serve as the perfect escape to read a book, enjoy a typical Moroccan meal, a sunset cocktail or simply decompress and take in the sights and sounds of an exotic setting when traveling to Morocco. Our country side offering include private guests houses that have panoramic views and showcase gastronomic and farm to table Moroccan cuisine. For your Sahara Desert adventure we offer a 1001 Arabian Nights experience, fireside with music under the stars. Our Luxury Desert Camp has inclusive access to Merzouga’s Erg Chebbi Dunes and is private, for our travelers only. 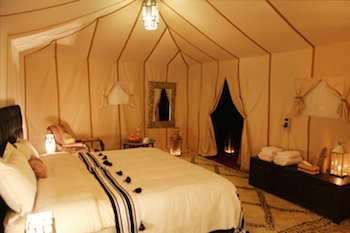 Our private Sahara Desert Luxury Camp is situated southeast of the village of Merzouga. Located just one-hour drive from the city of Erfoud. The Luxury Desert camp is in the heart of the impressive Saharan sand dunes, away from the areas visited by tourists. Hotel room comfort, traditional meals prepared by our Moroccan chef, and served by candlelight are just a snapshot of this once in a life time experience. Our luxury tours are affordable. While the rates we provide are not the least expensive, they are lower then agencies based in the USA and Europe, with an exceptional value. Travel Exploration Morocco private tours rate better then those offered in Conde Naste Traveler and Travel & Leisure magazines for their inclusion of tax free travel, upgrades at boutique riads and hotels along with exclusive access to monuments, historic sites and rural kasbahs not offered otherwise. Don’t miss out on a luxury travel experience that goes beyond your wildest dreams. 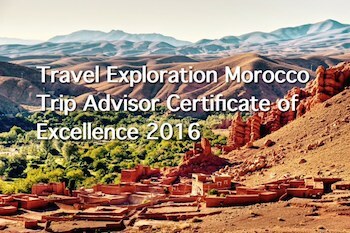 Travel Exploration Morocco Private Tours has been awarded the Trip Advisor 2016 Certificate of Excellence. The Trip Advisor Certificate of Excellence Award is a testament to Travel Exploration’s High Standards and Service provided for Morocco Tours. The Trip Advisor Certificate of Excellence honors Moroccan Travel Agents and Tour companies that consistently earn top ratings from Trip Advisor travellers. With a perfect rating of 5.0 Travel Exploration Morocco Private Tours has earned a place among the very best. This achievement is a direct result of Travel Exploration’s consistent great reviews from Morocco travelers who have shared their experiences on Trip Advisor’s website. The Trip Advisor Certificate of Excellence Award is a testament to Travel Exploration’s High Standards and Service provided for couples, family, and small groups tours who have visited Morocco with Travel Exploration. The Trip Advisor award is given annually to exceptional travel agents and Morocco tour operators. TripAdvisor places a spotlight on businesses that are focused on delivering great service to customers. 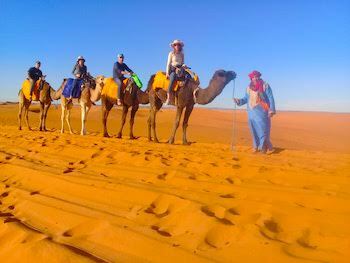 As a potential Morocco Traveler you can read what travelers who have visited Morocco with Travel Exploration Morocco’s Private Tours say on our Testimonials Trip Advisor page. For More Information About Travel Tips Before You Go to Morocco or To Receive an Itinerary & Quotation, Visit our BOOK A TOUR page. We are an ASTA Certified Agency. 1. Make sure to Book Direct with Travel Exploration. Request a package that is inclusive of a Private, Mutlilingual Speaking Driver, Boutique Riads and Local Historical Guides. Ask for their hand selected options that have been curated by the owner. Our team of expert, licensed Multi-lingual guides and drivers will set in motion a memorable journey. 2. Research the tour offerings online as taking a Morocco Private Tour requires reserach and some planning on your own. Know what you want and decide whether you want an Imperial Cities or Imperial Cities and Sahara Desert Tour. Don’t miss out on the country wide site seeing options that are provided with the 1001 Arabian Nights 12 Day Tour, the Majestic Moroccco 2 Week Tour or if time is limited the One Week in Morocco Tour. 3. Take advantage of being able to book a Morocco Private Tour through a female owned company. Support a woman owned business. The owner of Travel Exploration, Alecia Cohen, is female, and a former magazine publisher, of Global Rhythm magazine and an executive who established Travel Exploration Morocco Private Tours with her Berber partner to show travelers the best of Morocco. Mrs. Cohen has lectured at the World Bank on Culture & Sustainable Development in Africa and has been featured in various print and television venues, including CNN Financial News, Entrepreneurial Edge, Crain’s, Entrepreneur, and The World. 4. Splurge when traveling to Morocco. Stay at Morocccan Riads, Moroccan Boutique Hotels and a Luxury Desert Camp. Don’t miss out on unique opportunities to take a Food Tasting Tour in Fes or Marrakech, a cooking class with a Daada Chef or cruise across the Sahara Dunes on a Quad. The extra spending you invest in on local activites will ensure a richer travel experience. 5. Ask about Restaurant, Shopping and Spa Recommendations. 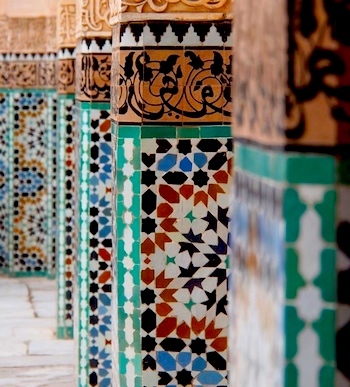 Travel Exploration has their finger on the pulse of all things Moroccan. They can arrange for local lunches with families in Berber villages, a special dinner where you can dine on the best, Moroccan cuisine with locals, or visit up market restaurants where you have an exclusive invite to a Moroccan wine bar. Shop locally or at upmarket boutiques and enjoy a wide range of Moroccan and Hammam/ Spa experiences. Travel Exploration has Insider Guides to Morocco Travel only available to those who book with them. Morocco has much to offer with it’s wide range of Travel Experiences for Couples, Indipendent Travelers, Families and those interested in visiting for their Honeymoon. The city of Fes, Morocco is a historic landmark and must see for those interested in Moroccan Jewish Heritage. On a guided Jewish Heritage Tour of Fes the magnetic culture of Moroccan Jewery will be revealed through the eyes of a local expert. 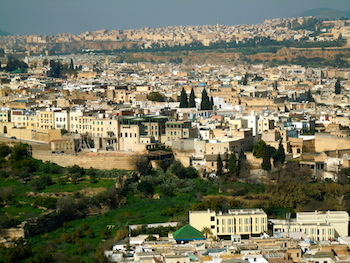 Fes is the oldest contiguous free, working medina in the world and a UNESCO World Heritage Site. The history of Moroccan Jewery of Fes is fascinating and engaging. Stories of the Fes Jewish Mellah are those of co-existance, culture, love and prosperity along with alienation which was followed by a severe population decline once Israel became a state. 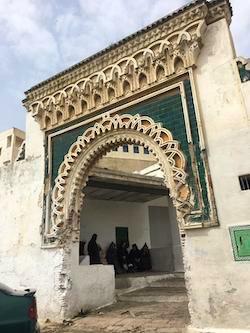 On a guided Jewish Heritage Tour of Fes you will learn about the roots of Moroccan Jews and how a population that once reached 300,000 + gradually disappeared. You will go beyond what is written in guidebooks and history books to hear an insiders perspective about co-existence between Moroccan Arabs and Moroccan Jews, that once described the livelyhood of Jewish Fes pre and post World War II. As recent as the 1940’s there were still over 200,000 Jews in Morocco with the majority of the population residing in Fes. The Moroccan city of Fes lays claim to once having the largest Jewish community in the entire Muslim world however fewer then 2500 remain in the country today. Those few are primarily living within a close knit community with their extended family in the Imperial city of Casablanca. Casablanca’s Jewish community and culture remains small yet vibrant. 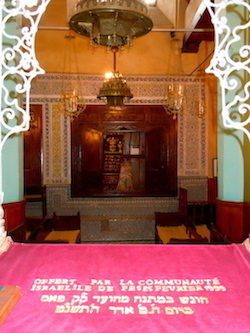 The city of Casablanca has several working synagogues, a community center, kosher butchers, kosher restaurants and is home to the Museum of Moroccan Judaism, lauded for being the only Jewish museum in the Muslim world today. The historic presence of Jewish Morocco runs through the veins of the country. The former Jewish population built synagogues, cemeteries, shrines and created prosperity and wealth within the Mellahs. The Jews of Fes were leaders in trade, the garment business, experts in agriculture and jewelry designers. Moroccan Jews for example were the creators of the ancient tradition of filagree jewelry made using gold and silver. This particular Moroccan tradition uses metalwork made with tiny threads that are twised together to form intricate and beautiful designs. Filagree jewelry often featured the Star of David, chamsas and other ornate symbols. Although the Jews of Fes were confined to living in the walled Mellah it was done so for their protection and to the benefit of both royalty and the government. The Jewish Mellah of Fes and the mellahs in other Moroccan cities were located close to the Royal palace and the governor’s residence. 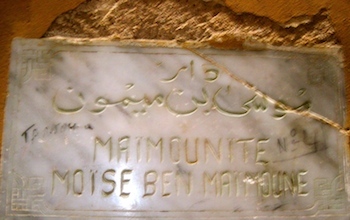 Many Jews were consultants for the King and also the government, making their level of contribution and importance to Moroccan culture and society exceptional. Since the exodus of Moroccan Jews when Israel became a state, many in Morocco claim the economy changed drastically as they took with them a great skillset, once shared with their Muslim breathren. While the Jews left land, shrines, cuisine traditions and businesses, among other riches, the Moroccan economy never recovered from the particular labor trends that helped maintain and enrich the country that were associated with the Jewish community. In the North of Morocco, the city of of Tangier and the blue washed mountain town of Chefchaouen, once had a prominent community of Spanish Jews that resided there. 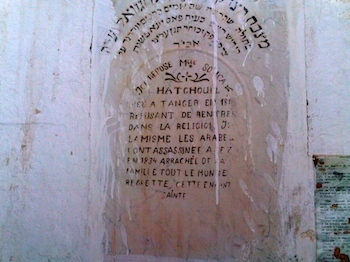 Jews emigranted to Morocco during the Inquisition. Today there there are Moroccan, Jewish Heritage Sites in Casablanca, Marrakech, Zaogra, the Skoura palmeraie, Coastal Essaouira, the Ourika Valley and Ourigane National Park. Most prominent though is the impact the Jewish community made within the social character of Fes. Dinner at a Rabbi’s Home or Kosher Restaurant. Marrakech is the Paris of Morocco. Its lively dining scene makes it a stand out place for foodies. From local fare to the gastronomic table, I will take you on a culinary journey to charming cafes, local Moroccan eats to elegant restaurants. My list of suggested places to dine are bound to excite your palette and make you want to visit Morocco more than once. Chic and savory Moroccan cuisine is now at your fingertips with this 8 Best Restaurants short guide for foodies. New on the scene is SALT, perfect for those who want to dive deep into Gastro-Moroccan cuisine. The nine-course menu offers exotic flavors and is a new way of cuisine expression for die-hard foodies. Many think Moroccan is all tajines and couscous. Not here! SALT goes the beat with its visiting chef in residency program. The menu serves up dishes such as pickled watermelon with toasted almonds and argan oil, prawn ceviche with Barbara fig dressing, cumin infused carrot bissara with crispy ouarqa, slow cooked lamb’s should with ras el hanout, prunes, apricots and coriander. A journey of exotic flavors will surround you when you dine being served by traditional Moroccan chefs. Located in one of Marrakech’s most beautiful boutique riads, Dar Les Cigognes, this nouvelle chic dining experience is not to be missed. Start with cocktails on the roof terrace or try some local Moroccan wines, Volubilis Cabernet and Medallion white are two that will wet your taste buds and that can be carried over and paired with dinner. Then finish off with one of SALT’S delectable deserts. 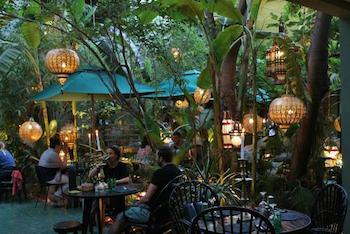 The chic place to dine and be seen in Marrakech is NOMAD Cafe. This trendy restaurant has some of the most creative and distinct Moroccan modern dishes on the food scene. Tucked away in the medina, NOMAD café has views of the Rahba Kedima (Spice Market & Local Square). The restaurant has a nice mix of indoor and outdoor dining space with cozy indoor salons, rooftop terraces and a sun terrace as well. NOMAD’s menu items are a creative mix of Moroccan and Western dishes. The shaved cauliflower and fennel salad with fresh herbs and toasted almond is a must for vegetarians. The contemporary take on Moroccan bastilla, filled with spiced vegetables, local goat cheese and caramelized tomato comfit is second to none. Mains range from calamari served in a cumin infused sauce to marinated lamb served with olive and red pepper relish. For desert don’t miss the flourless saffron cake with caramelized orange zest and whipped cream, definitely a must! Camel burger anyone? Owned by British foodie, Mike Richardson, this eclectic, local café is frequented by Moroccans and expats alike. 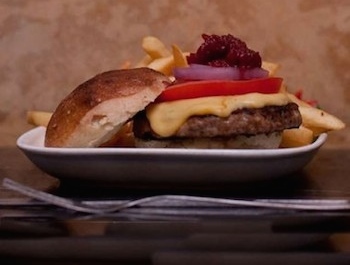 With delicious fare that has a contemporary touch, the trend setting Café Clock offers Moroccan mint tea and homemade cakes, tasty falafel and hummus salad, almond milkshakes, crunchy salads and it’s star feature, camel burgers and fries. The Clock, as locals call it, also boasts a wonderful cooking school and weekly Hikayat performances, the traditional art of storytelling. There are rotating showcases of local Moroccan painters, calligraphers and graffiti artists. This café does a fabulous job in making sure your stomach is full while sharing the artisanal heritage of Marrakech. A non-profit organization that helps disadvantaged women has made its way to the Marrakech food scene. Amal “hope” in Arabic lives up to its name fully. Established by Nora Fitzgerald, Amal was conceived to train and serve underprivileged Moroccan women. 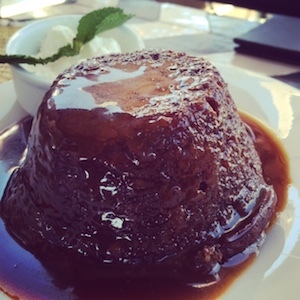 The restaurant menu changes daily and offers a mix of traditional Moroccan and fusion dishes. Moroccan salads, briouattes, tagines, liver with pureed potatoes and fish dishes are just some of the dishes on their menu. Amal offers traditional couscous on Fridays, the day of prayer. Diners are seated in the outdoor garden or interior salon. Amal has made name for itself for being socially conscious and supporting women. Eating here is an ideal way to support women and include socially responsible travel in your journey. A hidden jewel located down a windy alley, just around the corner from the Dar Si Said Museum is the restaurant, La Famille. This unassuming eatery is the perfect place for a lazy Sunday brunch. Spread out on one of their wood tables and lean in to read your favorite magazine while you dine on their meat-free meals. On the menu, grilled vegetables plates, Moroccan couscous with cranberries and apricots, salads, flat breads and frothy cappuccinos. Surrounded by a rustic and charming Mediterranean garden diners can eat at tables or on low lounge chairs. La Famille also has a tiny boutique with local designers featured. 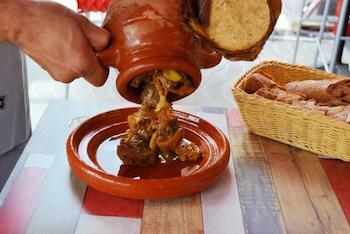 This hole-in-the-wall restaurant in the Marrakech souks is the place to go for meat eaters. Owner Mustapha is a legend in the Marrakech’s Djemaa el Fna Food stalls. Wander down Djemma El Fna to Mechoui alley and you will find a stall lined with sheep’s heads and Tangia pots. Mustapha’s recommendation, the top specialty, is called a Tangia Marrakchia, which is slow cooked lamb in an earthen jar. The Tangia is cooked over night (24 hours) inside a local hammam (bathhouse). The process allows the succulent juices to culminate at the bottom of the earthen pot. Also known for the best mechoui (whole roasted lamb) in town, this local eatery is filled with Moroccan families, regulars and travelers alike. Mustapha has a sister branch located in the popular, new town of Gueliz where visitors can sit street side and mingle with the locals. If galettes and pancakes are what you fancy then don’t miss the Le Crêperie in Marrakech’s garden district, Gueliz. This is Breton gastronomy at its best. Offering a delicious selection of crepes, buckwheat and wheat pancakes topped with your favorite sweet, savory or tangy ingredient. Prepared daily by the chef and owner, Laurent from Breton and Touria, this tiny café is a true gem. The crepes have fresh, local farm to table ingredients. Tastefully made with richness diners can enjoy a dark chocolate crepe, Roquefort or Chorizo, honey, goat cheese and spinach or butter-sugar and Nutella to the subtle variation of Suzette with oranges. There are even options for a full menu that includes a side salad for those who want some greens along with their savory meal. The décor is also as lively as the cuisine with the resident Parrot who is there to greet those arriving and the collectors’ wall of Breton sardine boxes. Perfect for those with a sweet and spicy tooth on a sunny or even a cold winter day. If your inner compass calls for a day of R&R and International dining then make your way to Le Jardin for a late afternoon lunch. The Muezzin’s call is a far cry away from the oasis of calm at Le Jardin. This trendy restaurant is located in a garden setting offers fresh salads, sandwiches, burgers, tajines, couscous and a short wine list. A must try is their spiced Moroccan coffee or Avocado shake. What awaits you is a magnificent courtyard where you can lounge that is covered with emerald green Moroccan zellij tile, dry tolerant plants, hanging banana trees, birds and botanic flowers. It is the equivalent of dining at an arboretum. Outside dining is available on the terrace or ground floor where turtles scurry their way. Organic produce is sold downstairs in a small nook while the upstairs hosts the main boutique of French-Algerian fashion designer and tastemaker, Norya Ayon.